Edited by Dr. F. Woody Horton, the second edition of the UNESCO sponsored publication, Overview of Information Literacy Resources Worldwide 2014-2015, is available for download. The multilingual multinational database therein contains Information literacy bibliographies for 130 countries and 101 languages. The aim of the workshop is to discuss Information Literacy in the context of Scientific Information Polices, according to the following rationale. - COMPETENCIES: measures aimed at assuring that “receivers” are able to efficiently retrieve and fully exploit the conveyed information, i.e. , the Information Literacy goal. 2. INFORMATION LITERACY IS LINKED TO INFORMATION POLICY IN THE EUROPEAN COMMISSION VISION. Information Literacy explicitly entered the EU policy making landscape (ONLY) with the IMPACT Programme (1988-1995) – a community programme devoted to Information Policy – and more specifically through the action line “Increasing user-friendliness and improving information literacy”. 4. SCIENTIFIC INFORMATION IS INCREASINGLY A PILLAR IN THE POLICIES FOR THE EUROPEAN RESEARCH AREA (see EC official documents like "Study on the economic and technical evolution of the scientific publication markets in Europe" 2006) followed by a public consultation (from 31 March to 15 June 2006) addressed to individual researchers, academic organisations, libraries, information organisations and publishers. Results from the 2006 consultation have provided the basis for the next Communication on scientific information in the digital age: access, dissemination and preservation (2007). 5. POLICY MEASURES FOR SCIENTIFIC INFORMATION HAVE BEEN AND WILL CONTINUE TO BE SUBJECT TO PERIODIC REVIEW AND REVISION, as a function of factors both internal and external to the science system. 6. FROM AN ECONOMIC PERSPECTIVE, knowledge sharing and transfer are increasingly the leitmotiv of the recommendations issued by the European Commission to support the economic development of Europe. In view of the above, the workshop intends to analyse Information Literacy as an element of Scientific Information Policy, aiming to understand the mutual influence between Information Literacy policies and Scientific Information policies. More specifically, the workshop is aimed on the one hand to understand how new patterns of circulation for scientific information can induce changes in the traditional models of Information Literacy, and on the other how Information Literacy policy objectives constitute an integral part of Information Policy strategies. On behalf of Assoc. 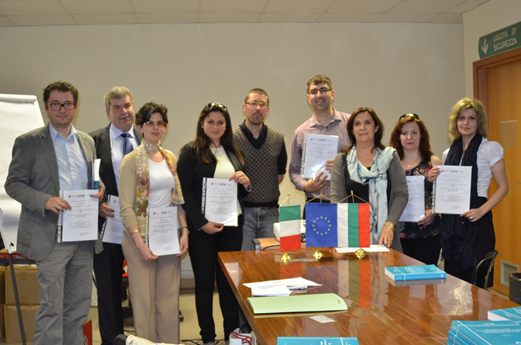 Prof. Dr. Tania Todorova from the State University of Library Studies and Information Technologies (SULSIT) of Sofia, a study visit to learn more about The European network on Information Literacy (EnIL) and the Sapienza University in Rome has been arranged by Dr. Tereza Trencheva. Enclosed some pictures of the event. In the current political and cultural climate, the role of Scientific Research is conceived in the context of the Knowledge Economy paradigm, where improving knowledge circulation and use constitute obviously crucial goals. One major imperative underpinning this rationale is “Improving access to scientific information”, a challenge so far addressed within the scope of the Open Access (OA) movement, focused on new publishing models relating to scholarly journal literature, and to a still limited extent, monographs. But significantly improving access to scientific information requires a broader perspective than that which has so far been provided by the OA approach. (ii) for every form of scientific output: for instance, research data, patents, research infrastructures, prototypes, in addition to the traditional scholarly literature. Such a wider view is rooted in the European Commission’s policy view on OA, conceived as “The policy and practice of granting immediate and free internet access to scientific results (including peer-reviewed journal articles)” (EC, 2012a), as well as on the different aspects of access, as theorised in the specialized literature. The ability and capacity of individuals to secure this sort of access, and to be aware of the means of gaining access, is an important component of “Scientific Information Literacy” (SIL), the focus of this paper. Moving from the analysis of a selected set of policy documents released since 2007 by the European Commission on Scientific Information in the European Research Area, the paper will show that Scientific Information Literacy is a neglected issue. The paper will also demonstrate that the education and training of researchers and other stakeholders in the research and innovation sphere, to ensure that they have appropriate levels of SIL, is a need that should be mainstreamed in EC policies. This is important also to maximize the impact of public investments in research not only for science, but - even more - for innovation. There is a real challenge in achieving such mainstreaming. The paper will propose how the attaining of OA objectives might serve as a vehicle for demonstrating the relevance and importance of SIL as a policy issue. It will also explore how networking organisations such as the European Network for Information Literacy (EnIL) and, in the UK, the Research Information and Digital Literacies Coalition (RIDLs), can help to influence the policy agenda by capitalizing on the outlooks of the different communities that they represent. 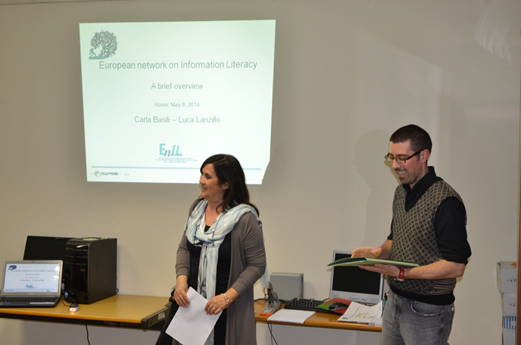 First steps towards identifying common research interests between the InformAll initiative, managed by RIN (Research Information Network), and EnIL (the European network on Information Literacy).